The annual Australian Directors Guild Awards will this year be held in Melbourne in order to coincide with the 30th anniversary of Neighbours. The popular serial, which is filmed in Melbourne, has proved to be an invaluable breeding ground for directors over the years. 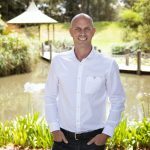 “We have been working with Fremantle and we are going to name all of the directors that have worked on Neighbours, which is a huge number we’ve discovered – 99 at this stage, and we’re still collecting,” says Kingston Anderson, General Manager of ADG. “There’s been, I don’t know, 6000 plus episodes and it’s been an incredible rollcall of Australian directors, it’s quite amazing. You can see quite a lot of people who got their start in Neighbours, just like actors. But Neighbours isn’t the only television production that is going to be celebrated. Anderson says this year’s awards – whilst still obviously honouring achievements in film and other media platforms- will take a particular focus on the strength of television drama. “Again, it fits perfectly because we’ve had a record number of television drama entries, coupled with the Neighbours anniversary, so it just seems like a very obvious one to put in this time,” Anderson tells IF. The 2015 ADG Awards will be held at Sofitel Melbourne on Collins on Friday 8th May. Tickets are currently sale and will be available until Sunday 3rd May. Nominees in the 15 Award categories are to be announced mid- April with judging b ypanels of industry peers currently underway. To book, click here, or call Franky in the office on 02 9555 7045.